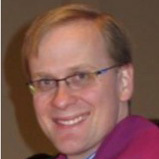 Christopher Tate, is the Associate Minister at Second Congregational Church in Greenwich, CT. He has a degree in drama with honors from Stanford University, and a Master of Divinity from Yale University. He has a work background in Interactive Instructional Design and has invented patented education applications for delivery over the Internet. In his current position, Chris has extensive experience working with young people in grades 6-12. Chris serves on the executive committee of the Greenwich Fellowship of Clergy, as well as on the board of directors for the Summer Theatre of New Canaan.